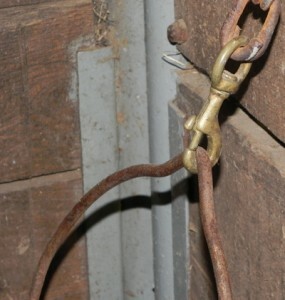 This is the safe way to adjust your stirrups once you’re mounted: with your foot remaining in the stirrup, and one hand on the reins. 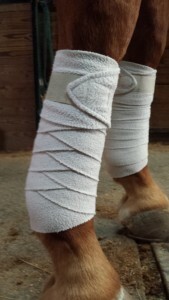 Maybe it’s my background in Pony Club, or maybe because I just hate the thought of rushing a broken rider to the nearest emergency room, but I cringe whenever I see someone adjust their stirrups in an unsafe manner. 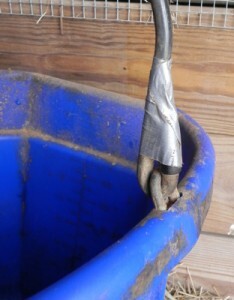 There’s a good (meaning safe) way to adjust your stirrups once mounted. It takes a little practice, but don’t all good skills require some amount of repetition to become more reflexive? I’ve made a web page for my William Woods dressage riders to show them the way I want them to adjust their stirrups once mounted. 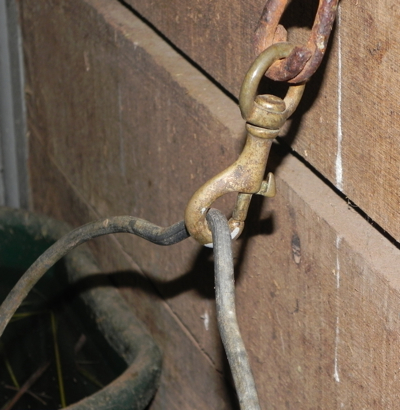 You might consider trying it, if you don’t already do it this way — and if you’re a Pony Clubber, you’d better be doing it this way! Check out the page at my ShortenYourReins.com website, at http://www.shortenyourreins.com/wwu/stirrups.html. I’m working on finishing the iBook on bandaging that I developed for the capstone of my Master’s Degree in Education, Teaching and Technology. It’s pretty cool, if I do humble-brag so myself. But until it’s available, I wanted my WWU dressage students to have a good overview of the protective equipment we might use on our dressage horses’ legs. So I made a web page on ShortenYourReins.com. If you’re interested in how I like it done (there are many many MANY different, and mostly valid, opinions on protective equipment), you can check out the protective equipment page. 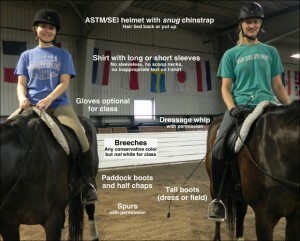 If you want to learn how to apply a fancy polo like the one in the photo, you’ll have to wait for the iBook! One of my biggest rider position pet peeves is open fingers. Open fingers are a misguided attempt to be “soft” on the horse’s mouth, but when riders open their fingers they remove responsibility of suppleness from the rest of the arm. It’s much better to keep the fingers closed in a supple fist, and get the rest of the arm (shoulder, elbow, wrist) involved in the act of communicating with the horse’s mouth. 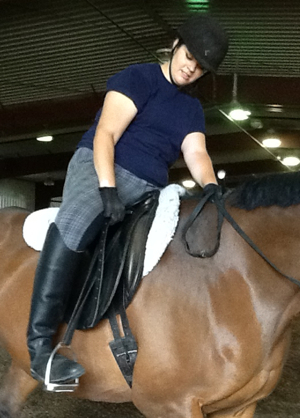 There’s so much more to riding than just sitting atop a horse. 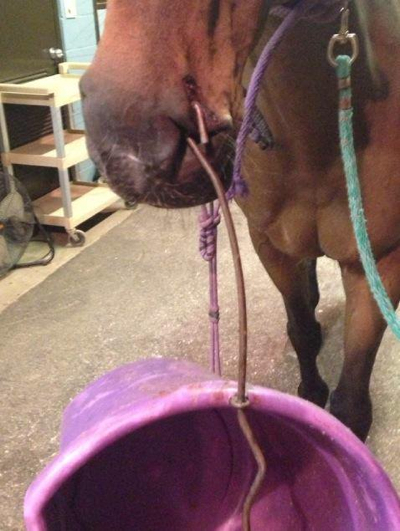 Your pre-ride preparation and care of the horse can make all the difference to your ride, and it demonstrates your compassion for your horsey partner. Check out this web page — complete with cheesy videos — for a run-down on what you need to know before you even get on your William Woods dressage horse.